Garage doors are great – these useful devices keep out the elements and provide a layer of protection for everything locked up in your garage. They have only become better with time too – with the inclusion of all sorts of mechanical and digital devices you can now easily open, close, and lock with the press of a button. Despite all the advances made in the past couple decades, there are still some problems associated with them. 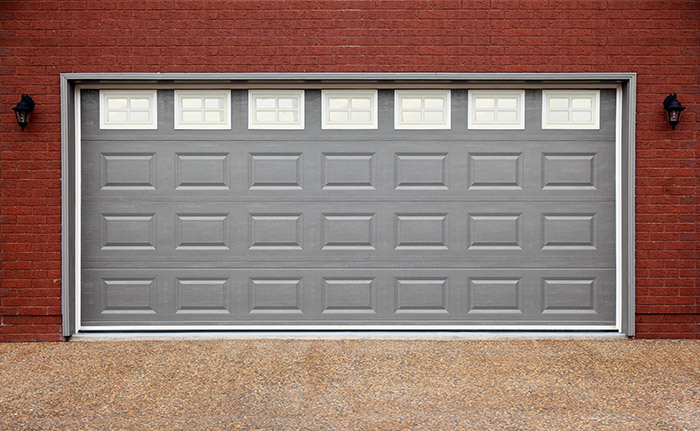 You might not think about it, but over 15,000 people get injured by garage doors in the United States every year. While older models – those that don’t have all the built in safety features we often take for granted – are particularly dangerous, new variants have their host of problems as well. Because of this there are a few safety tips that every person with a garage door should follow. This entire list includes precautions and also a call of arms to include some basic maintenance from time to time. If at any point you feel your garage door is not up to snuff, it might be time to call in a garage door professional. One of the easiest things to do is to see if your garage door’s reverse function is working. Most modern day garage door openers automatically reverse when faced with an obstruction – to test this feature try placing something soft underneath the door, like a roll of paper towels. When the door comes into contact with the item, it should immediately reverse direction. A garage door that just keeps going needs to be checked for defects and fixed as soon as possible. As you probably already know, children are notorious for getting into things they shouldn’t. If you’re having a garage door opener installed, you need to make sure the keypad is at least 5 feet above the ground. If the garage door opener is already installed and is a little too low for your liking, you can have a lock box installed over it – think of it as a lock for your lock! If you use a remote, make sure it’s located in an out of reach spot – either your own secret area or on a hook high up. This piece comes standard with many modern garage doors, but not all have them. An electric eye is situated just above the garage door opening and serves as sensor to detect any movement. When it’s in proper working order, this eye can spot anyone or anything that crosses in front of it, stopping the door from moving and reversing the direction. If you already have an eye installed you need to make sure to test it every once in awhile by walking in front of the door a few feet away while you open it. If it doesn’t open you might have a connection problem, or it may be obstructed in some way. Garage doors often serve as a weak point in even a house with a great defense because people forget to lock them. 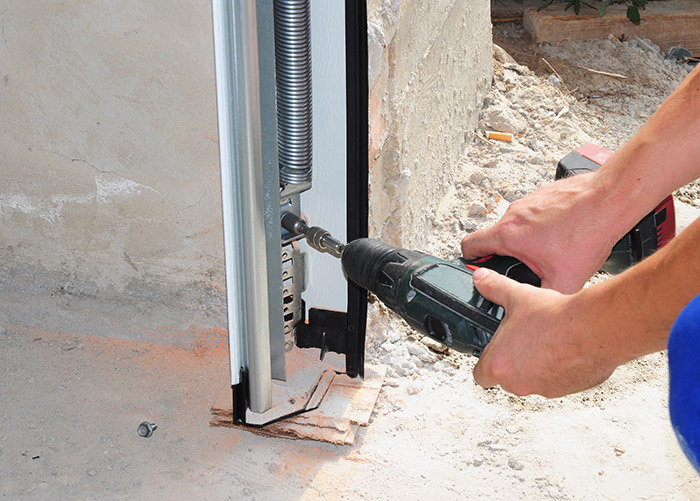 Older garage doors rely on a simple sliding bolt system – while effective, it’s bit inconvenient. If you can, it’s better to update your garage door system with digital openers – often times these systems can be integrated into a security lock allowing only you, or whoever else you trust, the ability to open it with the approved keycode. If you do go this route, make sure that whatever code you pick isn’t obvious – avoiding things like your address or birthday. If you rely on a remote control, make sure to never leave it in an area that’s easily accessible. Once a person has your garage door opener, unless you change the codes and locks, they’ll always have access to your home. Most garage doors, especially older ones, use a tension spring to open and close the door. Like anything else, these pieces of equipment are prone to breaking down as they’re under a great deal of stress. If your door is having a hard time opening and closing, you might need to replace or adjust the springs. Be extra careful with spring adjustment and replacement as it’s a dangerous business resulting from all the built up tension that can fire out from the springs. A single mistake can cost you an eye, a hand, or even your life. If you’re unsure about your skills, you should get a professional to replace any old or broken springs. Children have inquiring minds, and love to test things out – especially those things that are dangerous. Like anything else, it’s important to show children the benefits and potential pitfalls of garage doors. The garage door has a unique set of problems with it, as there are many areas where little ones can get their fingers stuck or pinched. When showing them the garage door, make sure to make it absolutely clear that they are not to play with the opener, and that the door itself is not a toy. Taking a few minutes every month to see that the garage door hardware is in good working order is a smart thing to do that can let you be aware of any potential safety problems. If you spot any disconnected, rusted, or broken parts they should be fixed swiftly, as this greatly undermines the built in safety features and utility of the garage door. Also be mindful of things like rollers, cables, and weatherstripping. Don’t just use your eyes either – if you ever hear excessive scraping or grinding coming from your garage door, make sure to inspect further. While they don’t need a lot of time focused on them, you do need to keep your garage door maintained. This is not only good for safety but also great at saving you money in the long run. Make sure to keep hardware tightened up, applying a wrench to the bolts every once in awhile. Use a liberal application of lubricant to keep the parts smooth, and also serving as a protective barrier against the elements. Clean it regularly as built on dirt, dust, and grime can obscure underlying problems of the machine and cause additional corrosion. Garage door safety is incredibly important for you and your family. You can test many of the built in digital features such as the auto reverse, while also being mindful on how where you put your remote and what lock code you use. Aside from this, you need to do some proper maintenance every once in awhile – it’s recommended at least once a season to check out the springs, coils, weather stripping, nuts and bolts, and whatever else you can find on your garage door. If you ever feel uncomfortable always stick with your gut – a broken garage door might still open for some time, but can be considerably more dangerous. If you find that your garage door is too worn down and doesn’t perform the way it should, it’s time for a replacement. 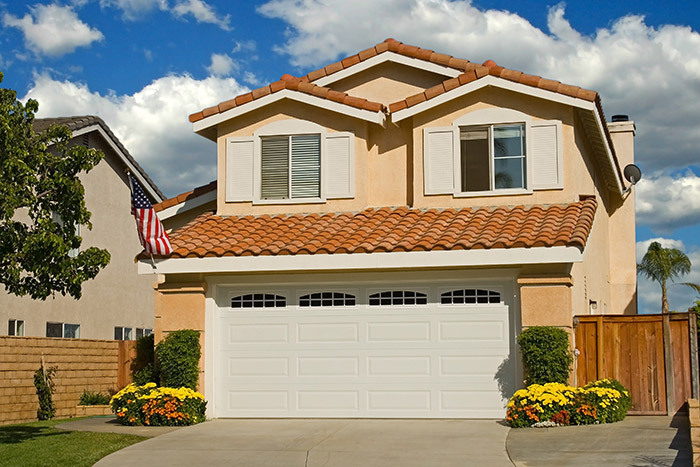 Who do homeowners trust for the best garage door replacement? Feldco. Join the over 350,000 homeowners who’ve counted on us for their home improvement projects and get a free quote online for your garage door replacement.